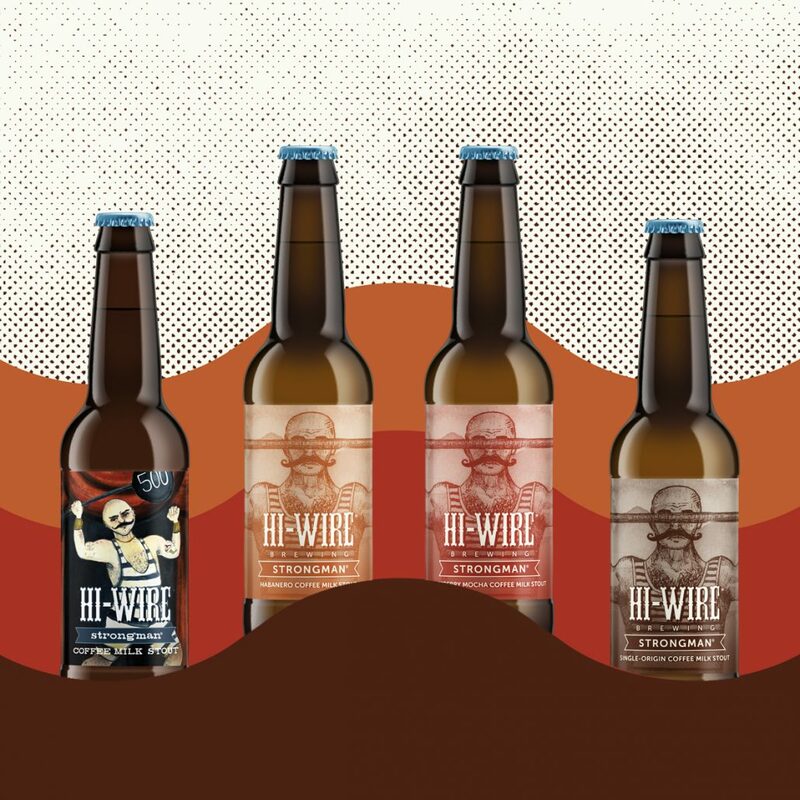 Asheville, NC- Hi-Wire Brewing will be releasing four speciality beers in November. Customers can expect one beer from their Sour & Wild Ale program, and three variants of an old fan favorite. Hi-Wire Brewing will be releasing a Dark Berry Sour (6.9% ABV) on Saturday, November 11th at 12pm from their South Slope Sour & Wild Ale facility | 197 Hilliard Ave. Foeder aged for nine months, and with a total fermentation time of one year, Dark Berry Sour ale was brewed with raspberries, blackberries, and blueberries. With notes of dark fruit and grape jelly, this beer is reminiscent of a chocolate covered raspberry. This beer will see limited distribution the second week of November and will be on draft in both of Hi-Wire Brewing’s taprooms beginning November 11. The Strongman Coffee Milk Stout Mixed 12 Pack will see limited distribution in Hi-Wire Brewing’s distribution footprint the second week of November.